Cynthia Fox's "Spotlight on the Community"
on KLOS Radio, 95.5 FM! 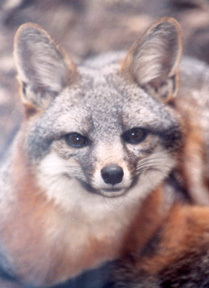 Pat Meyer, Friends of the Island Fox Program Director, and Keri Dearborn, Education Director, will be on Cynthia Fox's Sunday morning program this weekend, May 28th from 6-7 AM. Link to KLOS "Spotlight on the Community PodCasts". With community education and participation in conservation efforts we are saving the island fox.